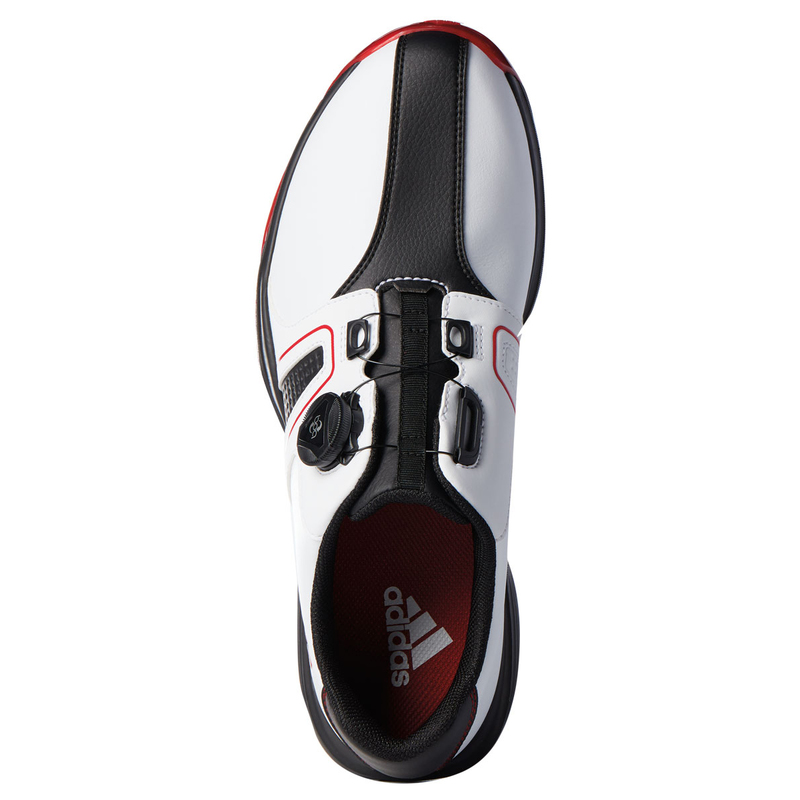 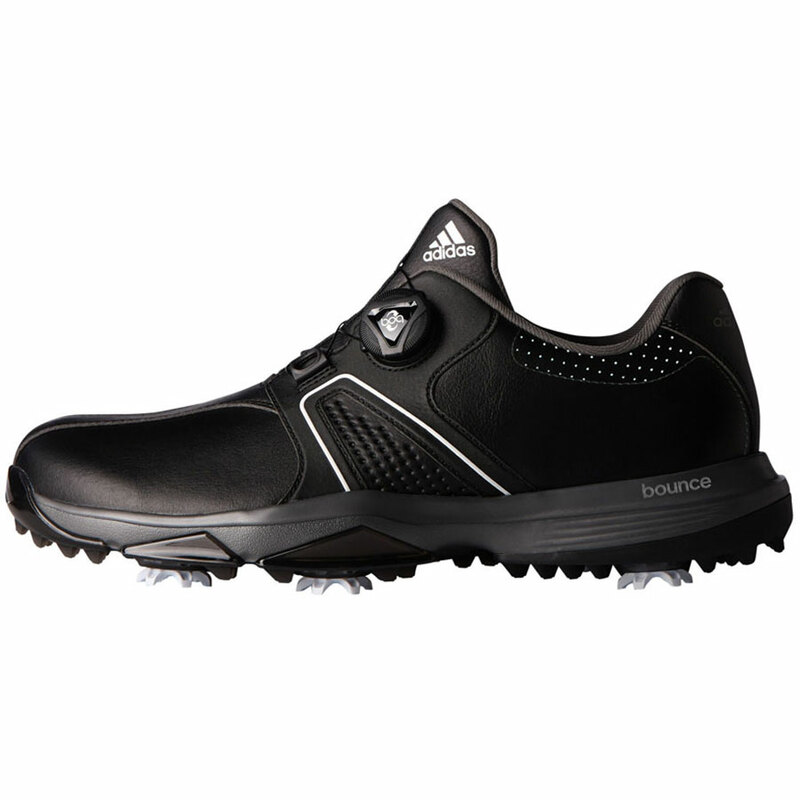 Maximise your performance with the highly innovative 360 Traxion golf shoes with L6 BOA® closure system. 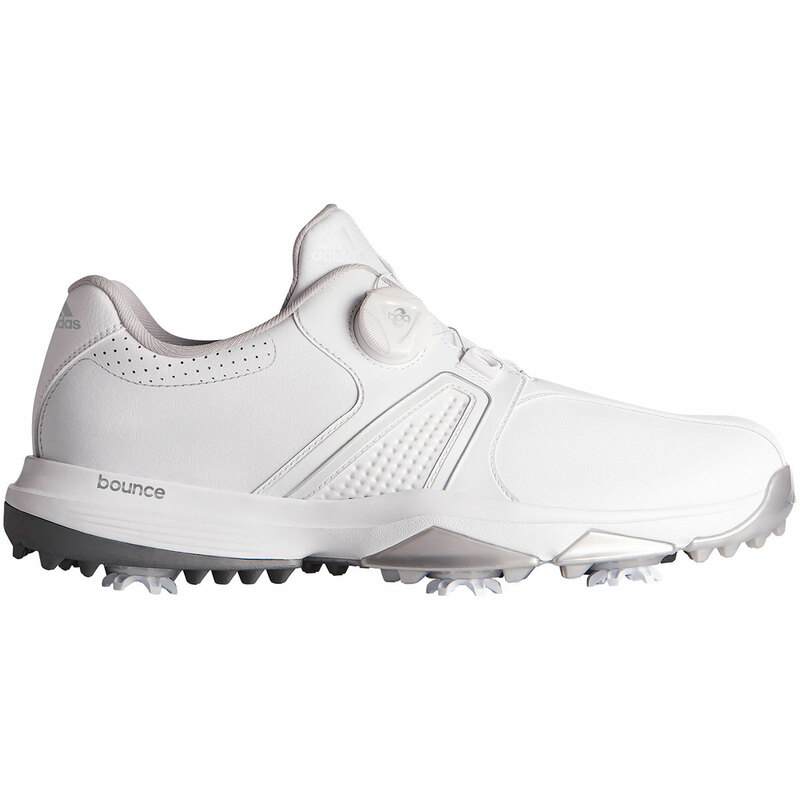 The shoe has been constructed with a lightweight microfibre leather upper material with climastorm water-resistant protection. 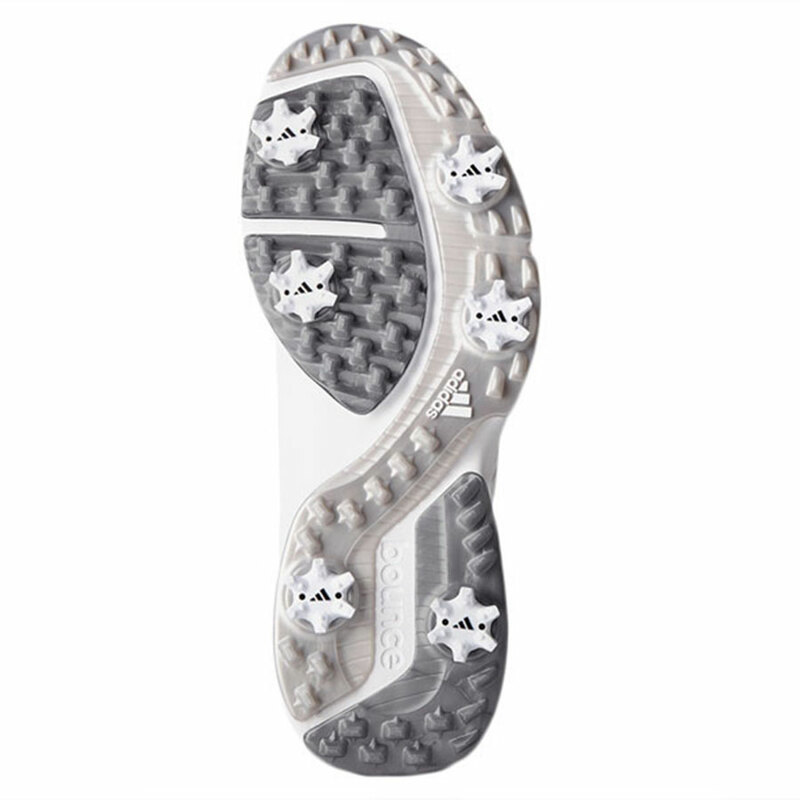 Plus a new L6 BOA® closure system provides an adjustable fitting, which has been located on the side for added ease of use. 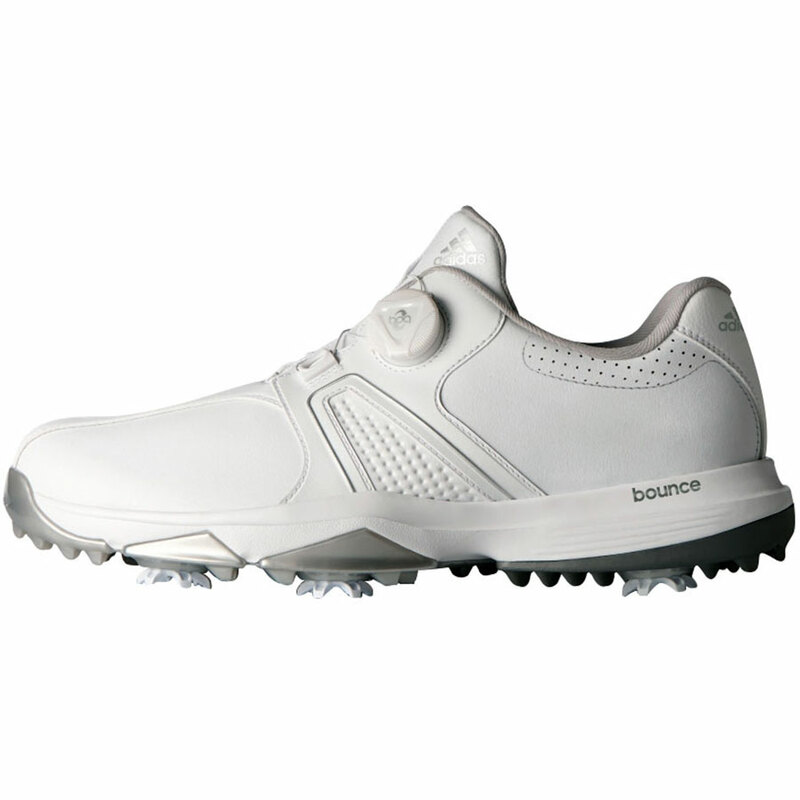 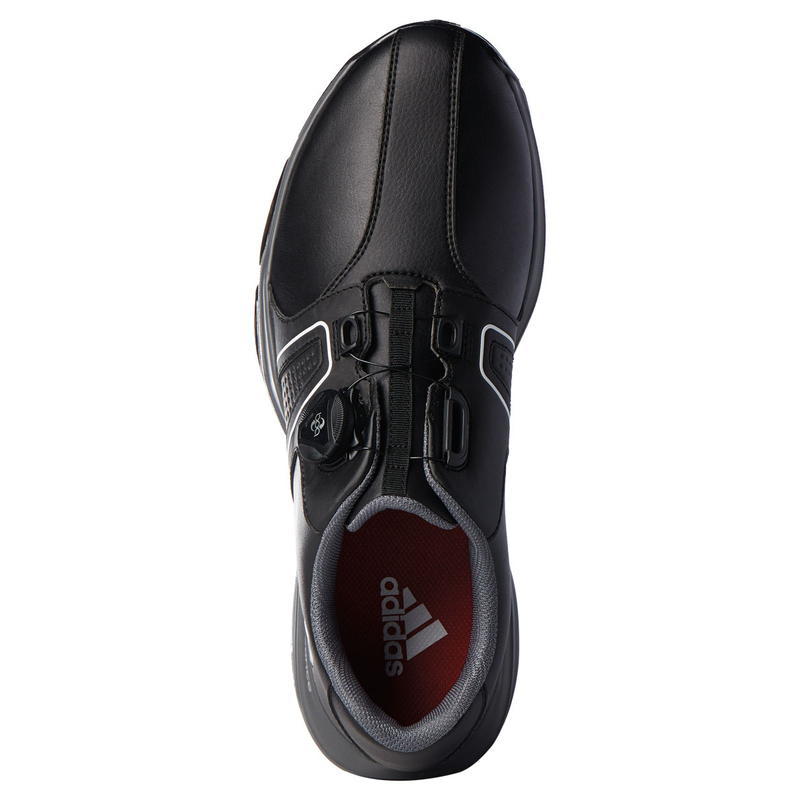 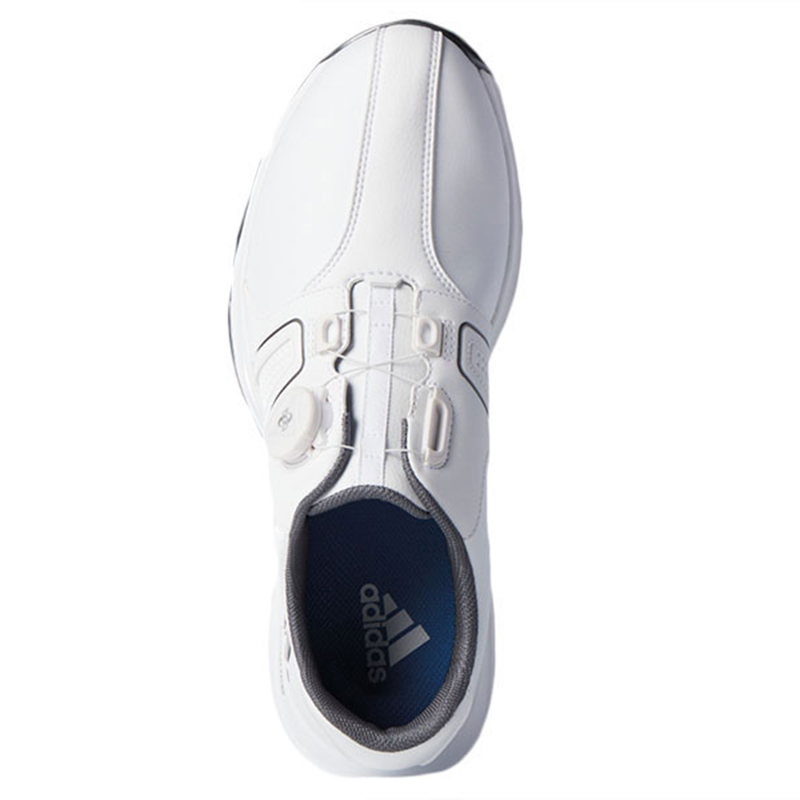 The shoe also provides exceptional comfort and cushioning, thanks to a full-length bounce midsole which returns more energy. 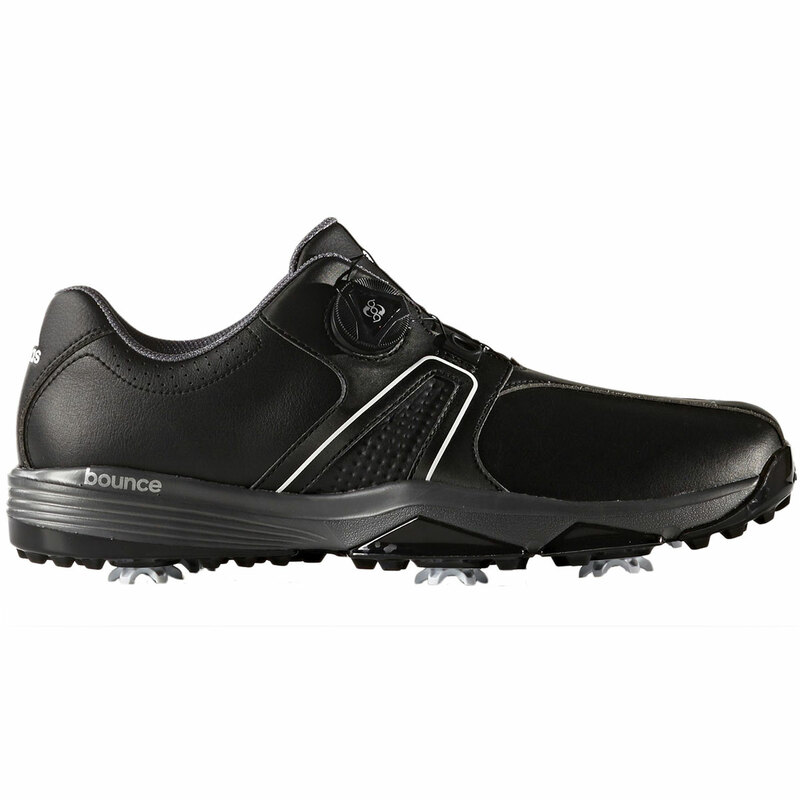 More comfort is added with a 3D moulded tongue which follows the natural curves of the foot shape, and a cloudfoam EVA sockliner for enhanced cushioning and increased support. 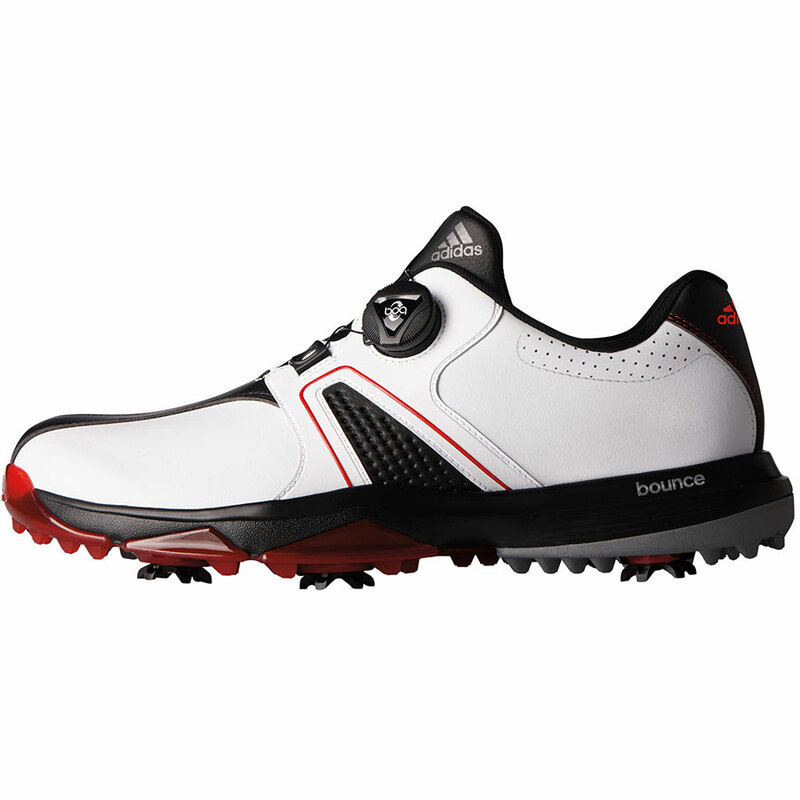 To give maximum grip the shoes feature a adiwear flexible outsole with puremotion secondary traction lugs for tour-proven grip and stability. 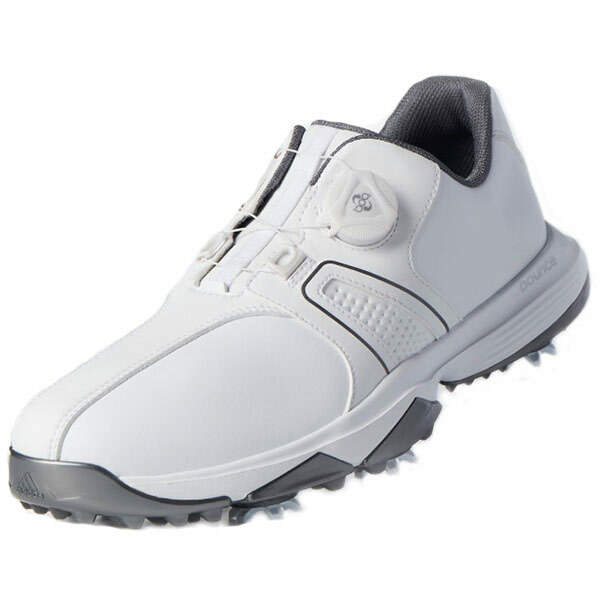 Plus have a low profile thintech® EXP cleat which offers improved stability, traction, durability, and golf course friendliness.